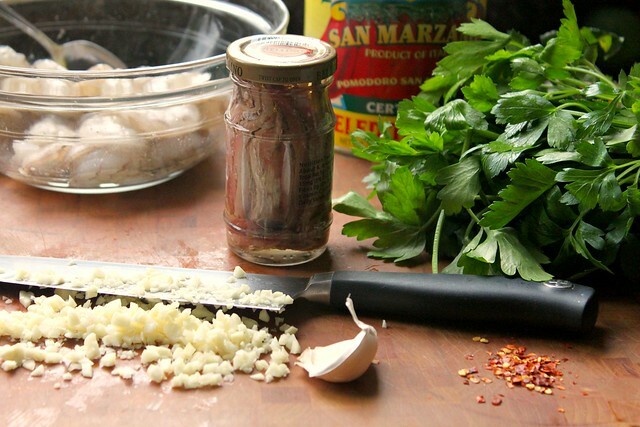 Kitchen Snaps: Shrimp Fra Diavolo or Shrimp in a Spicy Red Sauce with Lots of Garlic! 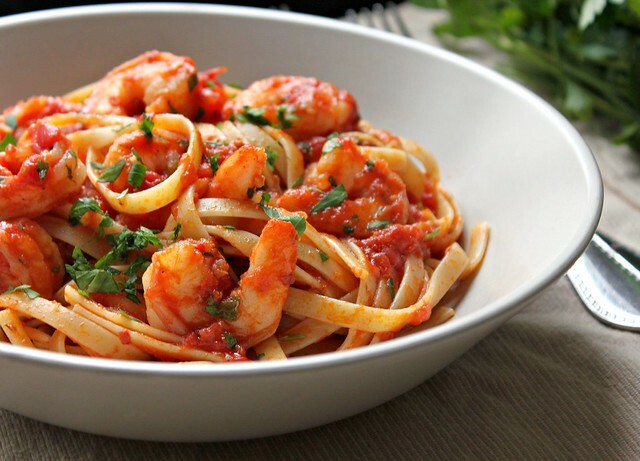 Shrimp Fra Diavolo or Shrimp in a Spicy Red Sauce with Lots of Garlic! One look at this picture and what do you think? Pasta with Shrimp in Red Sauce. So what? I know that's what it looks like...but it is SO much more than that! There are anchovies in this sauce, and while my sister and mother can pop the little babies straight out of their salty, oily cure and into their mouths... I can not. That said, anchovies chopped up or, "melded" into a sauce, can add such a depth of flavor to so many wonderful dishes! If you think you dislike anchovies, chances are you've had them hundreds of times before...without even knowing they were there. Dare I say even asking yourself, what is it that makes this sauce so absolutely rich and delicious??? So sure, you can leave the anchovies out of this dish ~ but I say add them ~ because they make the dish better! A simple, fast and delectable seafood pasta dish that we all agreed tasted even better the following day! Yum! No need to click the "x" on this pretty dish...This rocks. I may not be a big shrimp fan but I know a good dish when I see one. The Google thing is scary. They knew everything before they just have it all together now. 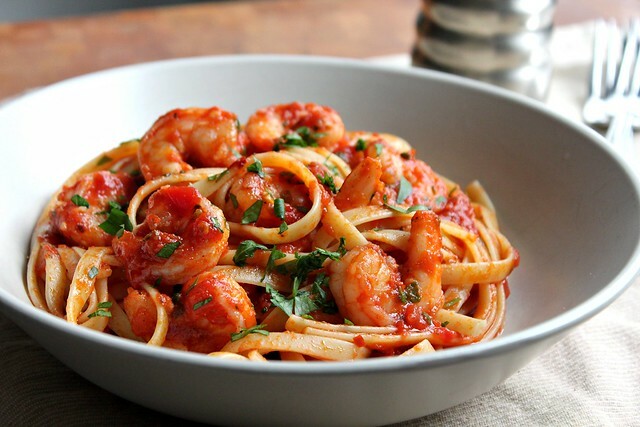 Shrimp Fra Diavolo was one of the first shrimp/pasta dishes I ever learned how to make.. it's so incredibly good!! Yours looks AMAZING! I've never eaten this dish, but it sounds delicious. This shrimp plate looks smashing~ Could eat this in seconds! Made this over the weekend using homemade linguine and herbs from my garden. I was apprehensive about the anchovies, but the result was OUTSTANDING. Definitely a keeper and perfect summertime dish! This looks delicious! What kind of pasta did you use? You weren't kidding when you said "lots of garlic". I don't get the spicy part though. I'm no 5-star chef nor do I work at a catering bristol company, but doesn't spicy mean somewhere along the lines of cayenne pepper, tabasco, or jalapeños?